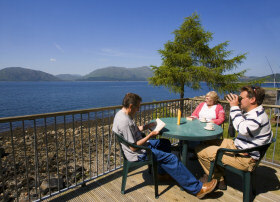 Choose from TWELVE self catering holiday cottages near Glencoe in the West Highlands of Scotland. 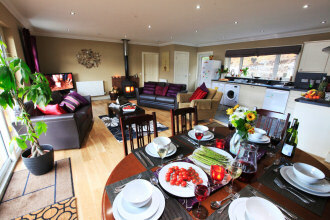 Treat yourself to a self catering holiday in Glencoe. 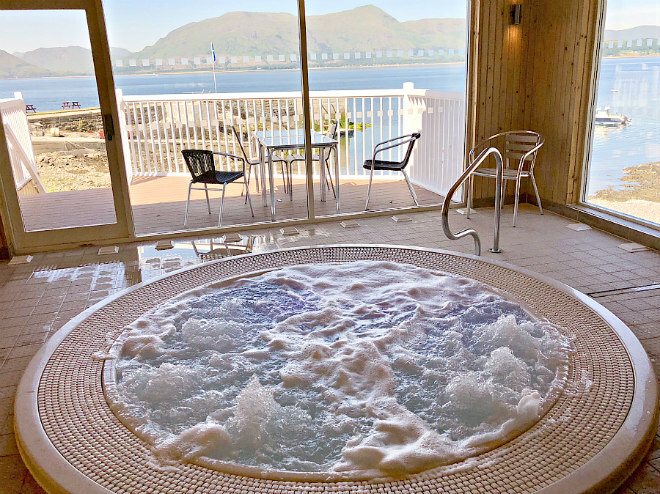 Loch Linnhe Waterfront Lodges offers eight individually architecturally designed detached self catering villas located right on the edge of beautiful Loch Linnhe near Glencoe. Each with its own panoramic decking these luxury self catering lodges offer two bedrooms with open plan living area offering a great self catering holiday in Glencoe. 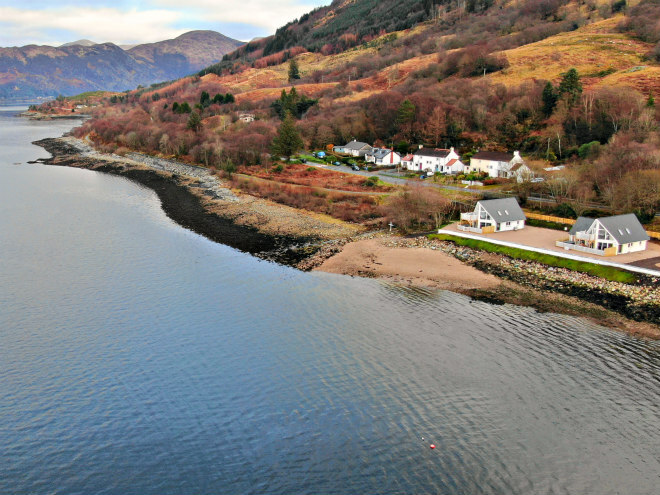 Also located on this waterfront site at Kentallen Pier in the Highlands of Scotland is our luxury Hotel the Hollytree Hotel and Swimming Pool and self catering guests in all of our properties are welcome to use our indoor heated swimming pool and sauna free of charge. All day food and drink is served in the Captains Bar, with our Seafood and Grill restaurant offering great dining in the evening. Great facilities on your doorstep of your self catering property near Glencoe. Beach House 5 is a stunning luxury three bedroom Villa situated right beside the sea with its own private hot tub. It is a detached architect designed villa with three bedrooms, a living room with a kitchen area and a dining area. Two of the three bedrooms are en suite and there is also a separate bathroom and a separate toilet. This villa has its own private terrace area with outside tables and chairs. The Villa's own private hot tub is located on the terrace and has wonderful sea views. The bedrooms are made up as one king size double and two twin bedrooms. One of the twin bedrooms has an extra foldaway bed, making it a triple if required. There is an eco friendly air source heat pump system which provides luxurious heating and hot water. There is underfloor heating on the ground floor. The kitchen area has an American style fridge freezer with its own drinks chiller and ice maker. The upstairs front bedroom is not only ensuite but has it's own upstairs balcony with outside seating area with spectacular sea views. The Villa is situated just a short 100m walk from the Holly Tree Hotel. This has a bar, restaurant, swimming pool, sauna, Hot Tub Spa and reception area. Users of Beach House 3 have FREE use of the Hotel's swimming pool, sauna and Hot Tub. Well behaved dogs are permitted and are not charged for. Cots and high chairs are also available free of charge. Beach House 3 is a stunning luxury four bedroom Villa situated right beside the sea with its own private hot tub. It is a detached architect designed villa with four bedrooms, a living room with a kitchen area and a dining area. Three of the four bedrooms are en suite and there is also a separate bathroom and a separate toilet. This villa has its own private terrace area with outside tables and chairs. The Villa's own private hot tub is located on the terrace and has wonderful sea views. The bedrooms are made up as two king size double and two twin bedrooms. One of the twin bedrooms has an extra foldaway bed, making it a triple if required. There is an eco friendly air source heat pump system which provides luxurious heating and hot water. There is underfloor heating on the ground floor. The kitchen area has an American style fridge freezer with its own drinks chiller and ice maker. The upstairs front bedroom is not only ensuite but has it's own upstairs balcony with outside seating area with spectacular sea views. There is free broadband with Wifi and the smart TV is connected to it. The Villa is situated just a short 100m walk from the Holly Tree Hotel. This has a bar, restaurant, swimming pool, sauna, Hot Tub Spa and reception area. Users of Beach House 3 have FREE use of the Hotel's swimming pool, sauna and Hot Tub. Well behaved dogs are permitted and are not charged for. Cots and high chairs are also available free of charge. Glenachulish Bay self catering Cottage offers stunning uninterrupted panoramic sea views and sleeps seven in three luxury fully ensuite bedrooms, with one having a whirpool style bath. 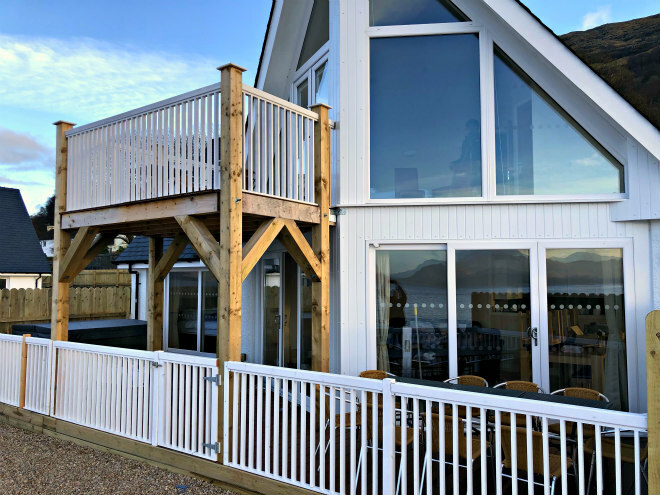 Features include a raised decking offering unrivalled sea views, a wood burning stove, range dual fuel cooker with full fitted kitchen, leather sofa's and luxury oak flooring. 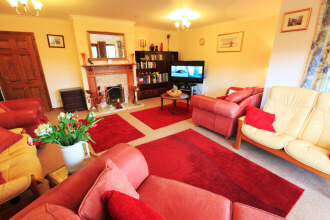 Ideal self catering house near Glencoe for a great family holiday. Wildwood Farm House is a large detached self catering farmhouse located in nearly two acres of its own grounds and offers luxury accommodation in five bedrooms for up to eleven, plus a cot. Ideal for family self catering holidays in Glencoe with three of its bedrooms ensuite, the property benefits from having wonderful leather sofas in both of its lounges and a separate two storey games room with slate bed pool table, table tennis table and lots of other games to enjoy. 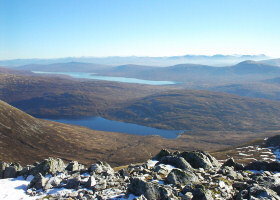 Ideal for family luxury self catering holidays in the Glencoe area of the Scottish Highlands. The Glencoe and surrounding Ben Nevis area are great places to enjoy a Scottish family self catering holiday. Glencoe has a unique history and the Glencoe area has some of the most spectacular scenery in the West Highlands of Scotland. The Glencoe village area is famous historically for the massacre of Glencoe and the Glencoe mountains and hills are some of the best walking and climbing hills in the world. 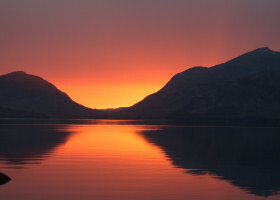 Enjoy a peacful family self catering holiday in Glencoe in the Highlands of Scotland. 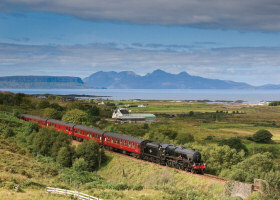 Great for self catering and for touring Glencoe, Lochaber, Ben Nevis, Fort WIlliam and Oban.